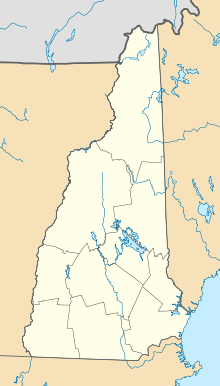 Mount Washington Regional Airport (IATA: HIE, ICAO: KHIE, FAA LID: HIE) is a public airport located 3 miles (5 km) east of downtown Whitefield in Coos County, New Hampshire, USA. The Civil Air Patrol maintains a composite squadron at this location. It is included in the Federal Aviation Administration (FAA) National Plan of Integrated Airport Systems for 2017–2021, in which it is categorized as a local general aviation facility. The airport has a single, newly re-paved runway that is 4,001 feet (1,220 m) long, 75 feet (23 m) wide, at an average altitude of 1,074 feet (327 m) MSL, beneath the Yankee One Military Operations Area (MOA). It features pilot-controlled lighting. Traffic pattern altitude is 2,000 feet (610 m) MSL, and pilots must make right traffic for runway 28 unless winds require use of Runway 10 during landing. Scheduled runway improvements have been completed and accepted which include re-alignment and resurfacing of a lengthened runway from 3,495 to 4,100 feet (1,065 to 1,250 m). Local attractions include: Mountain View Grand Hotel 2 miles (3.2 km), Mount Washington Hotel 15 miles (24 km) (including Bretton Woods Mountain Resort), Mount Washington Cog Railway, Santa's Village (9 miles (14 km)) and Six Gun City (8 miles (13 km)) theme parks (Jefferson). Other local towns include Franconia (and its Cannon Mountain Ski Area) (18 miles (29 km)), Littleton (14 miles (23 km)), Bethlehem (11 miles (18 km)) and Lancaster (10 miles (16 km)), where the Coos County Fair is held each summer. A regional view can be enjoyed from the lookout tower at historic Weeks State Park, located on Mount Prospect in Lancaster. This page was last edited on 19 November 2017, at 21:45 (UTC).